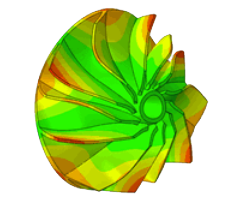 Join us for a free online training that will focus on the steps required and knowledge you need to reduce simulation runtimes and get your results back faster. 2. Methods for data driven planning for justifying HPC resources and CAE software licenses. 3. How to manage large engineering data, and deal with the growth and management of CAE simulation data. Submit your questions in advance at info@totalcae.com subject line: Best Practice and we will be answering them during the training. IT staff looking at ways to help their engineering clients adopt HPC clusters or cloud for engineering simulation. All attendees will receive a $500 cloud credit!